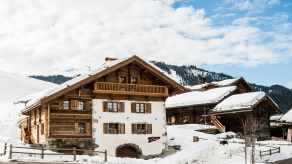 The PVG Group is delighted to offer the opportunity to rent one of our luxury chalets perfectly located in La Clusaz. You can’t help but fall under the spell of the chalets currently on offer as stunning examples of ultimate luxury in a contemporary alpine décor. 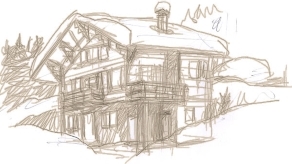 Le Chalet des Cimes ***** adjoins Les Cimes***** Residence, ideally located opposite the new Bossonnet ski lifts at the top of the village of La Clusaz. 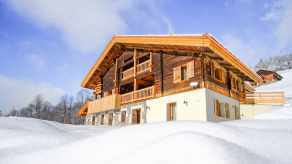 Le Chalet du Bossonnet, 5 stars is an amazing chalet created in a former farmhouse. Located at the top of La Clusaz' city, this chalet stands unbelievably at the bottom of the ski slopes. Le Chalet du Cœur ***** adjoins Au Cœur du Village *****, Relais & Châteaux hotel, perfectly located opposite the Champ Giguet and within close walking-distance of the church and the centre of the village. The Chalet La Douceur, soon classified 5 stars is an authentic luxury chalet in the middle of nature, and a few minutes from ski slopes or cross-country skiing. These chalets offer the cosy Chalets PVG services. Take time to discover the range of services proposed as you travel through our website.